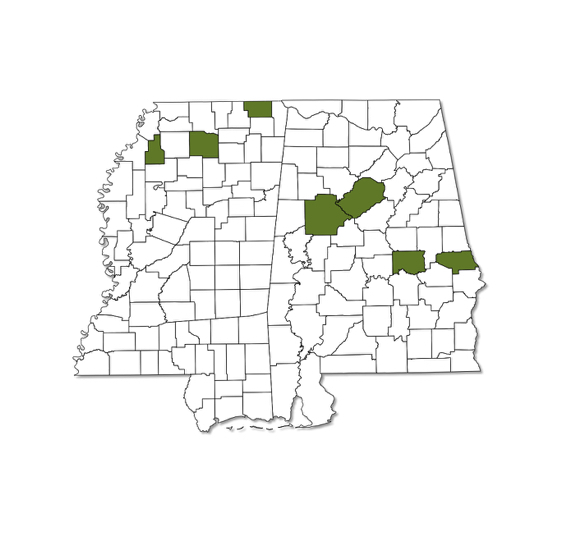 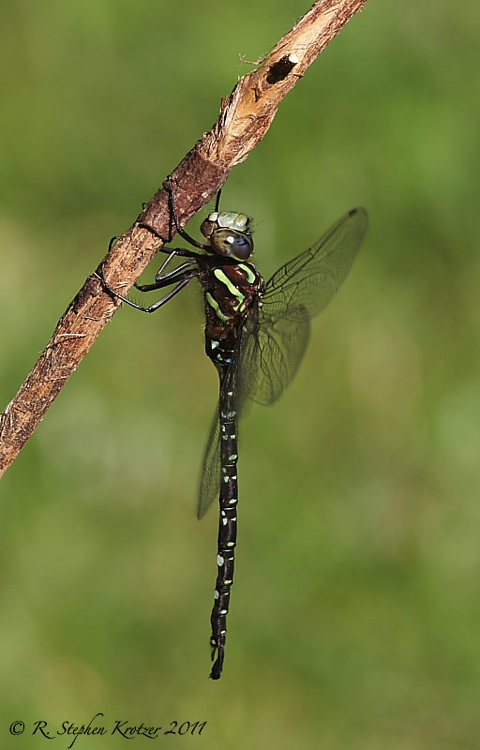 Aeshna umbrosa is a northern species whose range reaches its southern limit in the north and north-central portions of Alabama and Mississippi; it is apparently quite rare in our region. 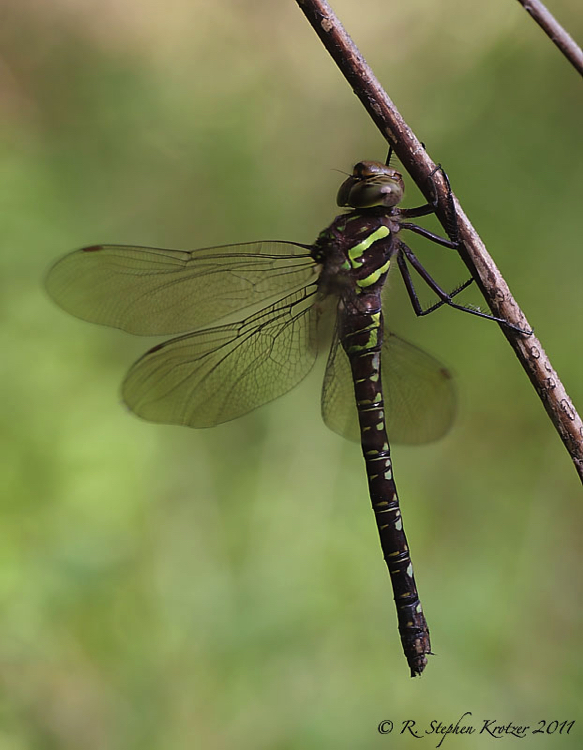 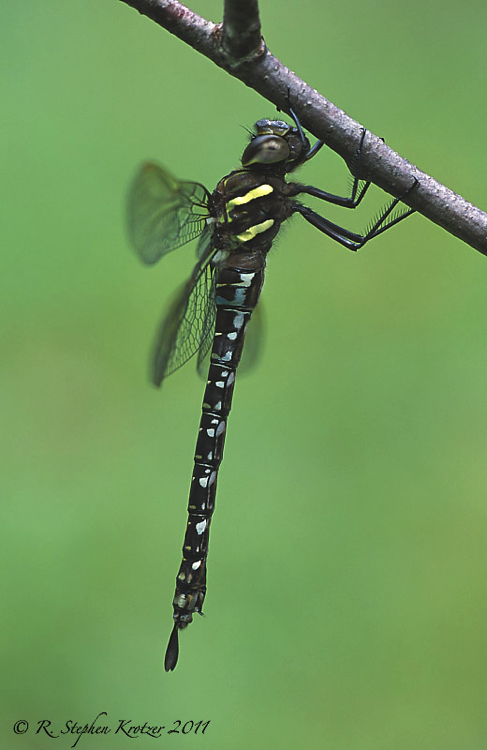 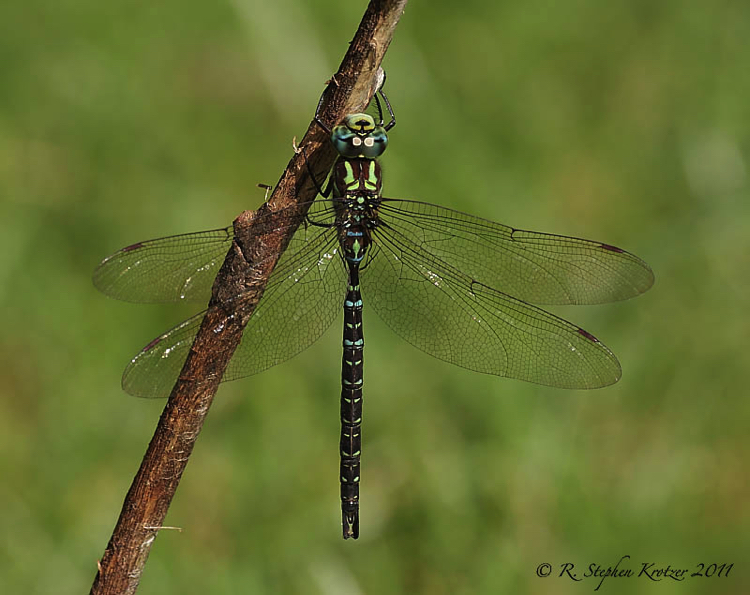 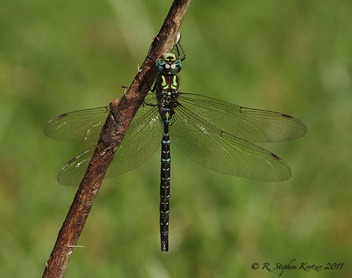 This dragonfly has a late flight season (September - November) in the South, and it breeds in a variety of habitats such as beaver ponds and pooled areas of small, shaded woodland streams. 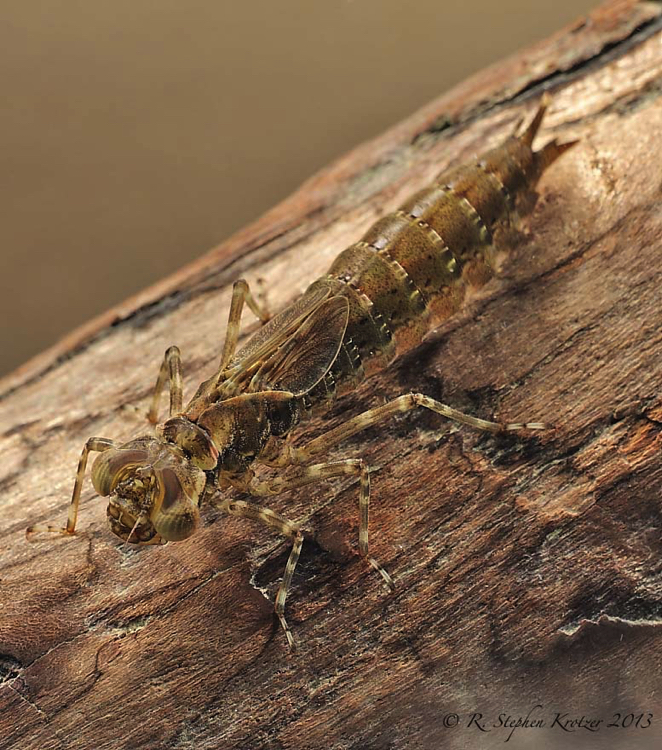 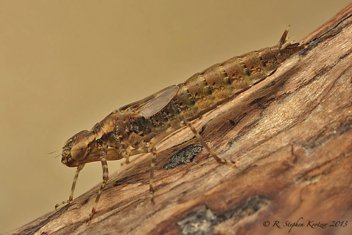 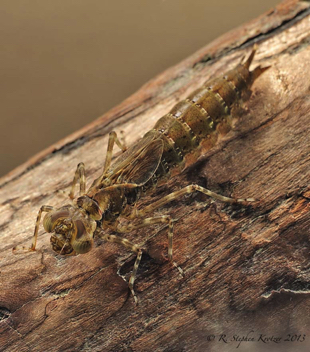 The brownish nymphs are well camouflaged among the submerged logs, sticks and dead leaves in these water bodies.